The 3rd & 4th of December is the George Mac Regatta, there is NO club racing that weekend, but we encourage all members to enter the George Mac and support our involvement and support of RBYC and this event. All members are invited to the function on the Saturday night hosted by RBYC. If you are not sailing in the George Mac can you please contact Mike Wold rearcommodore@elwoodsc.com re volunteering your support with this event is appreciated. 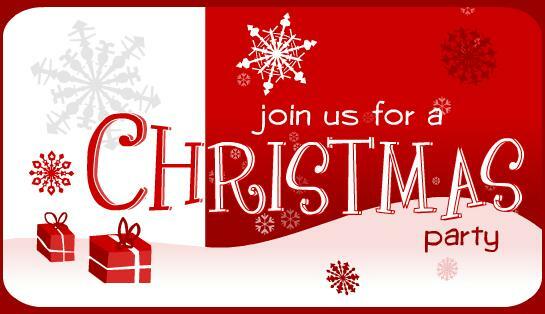 This invite goes out to all our members, their friends, children, grandchildren, extended family, young and old please come along and join us to celebrate Christmas at Elwood Sailing Club. We will have Santa handing out gifts to all the kids so make sure you reply to this email with the names and ages of kids that will be attending so I can let Santa know who will be there. We will have food, games and of course the bar will be open! 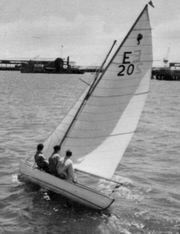 The Elwood Seahorse Old Boys 2016 annual dinner and reunion will be held at the ESC club rooms on Friday 10th November 2016. No need to buy a hard copy of the Blue Book, it won’t be available for purchase anyway. Click arrow on left or right of photo to scroll through album. Click on photo to enlarge. This year the 2016 ESC Presentation Night was held in the Banquet Room of the Milanos Brighton Beach Hotel, and a very enjoyable time and meal was had by all who attended. Club Person of the year was very well deserved by Mike Wold, who was the ESC main organiser of the ISAF world championship, held at St Kilda (Royal Melbourne Yacht Club). Champion of Champions was awarded to Geoff Craig and his two sons. 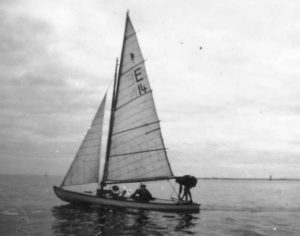 Winter sailing is on at Elwood again this year. Dates are first and third Saturdays of the month, except for July because of Federal Election. Racing from 1200hr (decision to race 1100hr). We will be using a low-key format, up to 3 races with target time 30min, simple course. 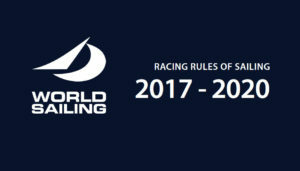 No aggregate score for series, presentation at the bar on conclusion of racing each day. Entries on the Day: Elwood Members and Associates no fee, visitors $5.00 per day. Drinks and canapes at 6.30pm for a 7.30pm sit down two course dinner. Dress formal. The cost per head $45. Payment in CASH which will be collected on entry by Daniel Osinga & Craig Finger. We look forward to seeing every member on the night. 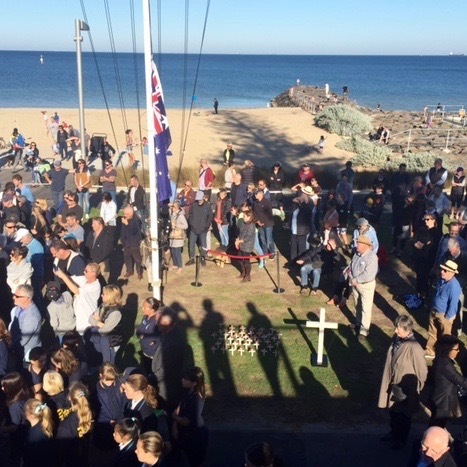 On ANZAC Day we hosted the annual Elwood community ANZAC memorial service with the ‘Friends of Elwood RSL’. 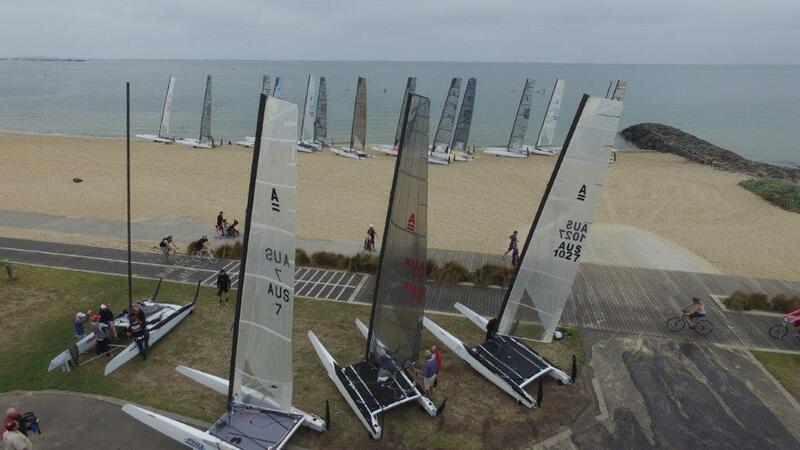 Elwood Sailing Club is once again participating in the Top of the Bay Interclub Challenge. This year Altona Yacht Club as organising authority is hosting the event and ESC is requesting a large turn out of club members to compete. The day starts with pre-race briefing at the AYC at 12.30pm on Saturday 6th Feb. For further details about the day view the Sailing Instructions. Further updates will be posted (NOR and Entry Form) as they come in.